CT 299 is a guitar loudspeaker with four full range drivers. 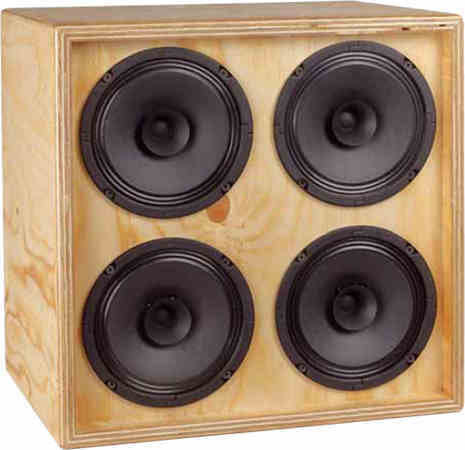 CT 299 is a bass-reflex cabinet loudspeaker with drivers of Visaton . The kit is delivered with four Visaton BG 17 8 Ohm full range drivers. At low volume, i.e. 95 dB at 1 m, the nonlinear distortions are below 1% above 300 Hz and doesn't exceed 1% at 105 dB at 1 m between 300 and 15000 Hz.